“It is time to plant.” The words are spoken from underneath the limited shade of a mango tree in Odek, Northern Uganda. 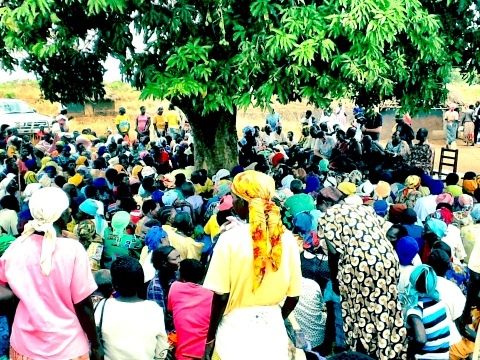 Nearly 1,000 widows have come together today in what is the launch of TCON’s 2012 agricultural initiatives. Over the next month, we will be bringing seeds ahead of the first rains to over 30,000 widows across Acholi. The place, the people, and the strategy are all very important. the LRA insurgency led by Joseph Kony that contributed to traumatizing a generation of people here is again being debated thanks to Invisible Children’s Kony 2012 video. Kony is long gone from this area, but he grew up just beyond the mango tree where we gathered under. Odek was, in fact, his hometown. It is coincidental that the first Acholi widows TCON will reach are here, but the symbolism is deep. This entire part of the country suffered enormous losses during the insurgency years, and they are longing for a new life under the restored security. 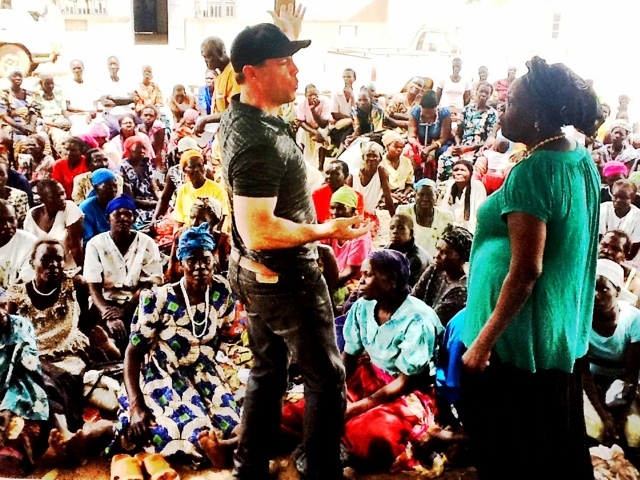 At least 75% of the widows who arrived shared that their husbands were murdered by LRA raids. Our day started in a different place. 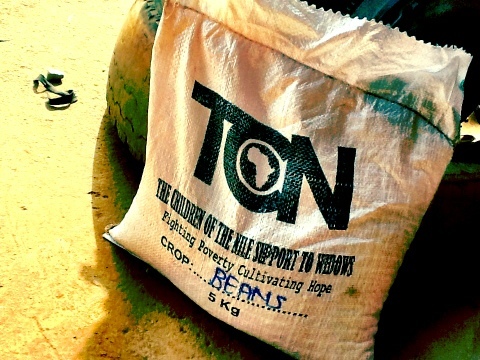 60 kilometers west, Gulu has a facility that will house TCON’s 200 tons of maize and beans as the widows leadership prepare the different distribution points. 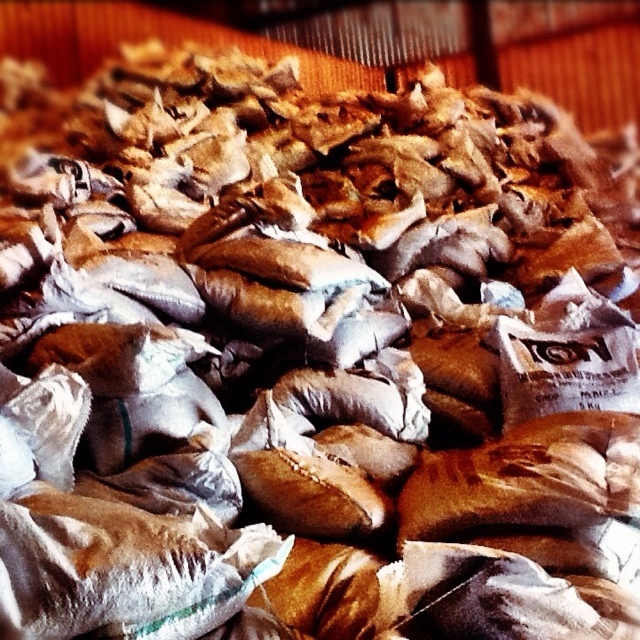 70 tons were already staged in the warehouse caked with the ever-present red dust of Uganda. As the 5kg bags began to be loaded on to the truck, one fell and a small handful of seeds spilled on the ground. In the grand scale of things, it seemed like losing a few seeds would be inconsequential. Caroline, the main leader for all of the Gulu widows, rushed over immediately to collect what had fallen and save it. No seed is wasted. The widows in Odek are ready to cultivate the maize and beans with the same care. 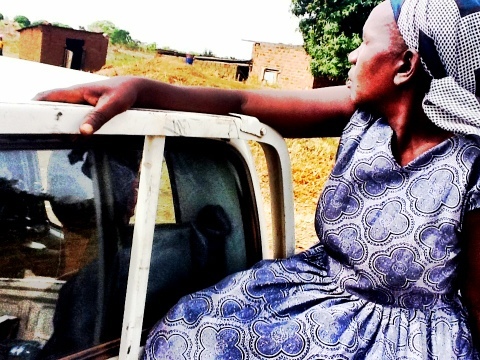 Widowed women in Uganda are a remarkable people. They each hold a story of loss and pain, but they stand collectively with enormous dignity and courage. Two widows who approached us in Odek shared that they were actually the co-wives of Joseph Kony’s brother. They invited us to come see their homes, which were simple traditional mud huts. They really had no resources to speak of, but they were proud to show us a real home that was their own. They had only been able to return last year after spending eighteen years in IDP camps. As they recounted the story of their husband being murdered in a raid by the LRA (Kony’s rebels were merciless to even family), they also talked about the significance of the seed TCON brought. It was new life, and an opportunity to produce and sustain their families independently. The ladies sang and celebrated as they carried their seed bags joyfully on their own heads. The first rains will begin in just weeks. By August we will begin to see the results. The push this year is to give as many widows in Acholi as possible the opportunity to farm and step up their own food security. TCON believes deeply that investing in women, and particularly widowed women, is the greatest use of our resources. These ladies have the will to farm and harvest for the children in their care. Ultimately this program is about giving them something small that can grow and do more. The end result is Ugandans who will sustain Ugandans. That is how we are cultivating hope.